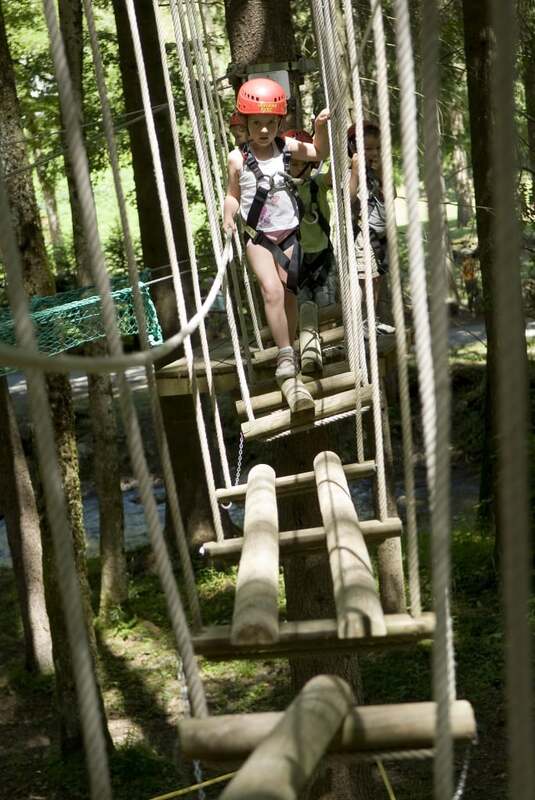 As part of our French Summer Camp, we offer a great range of different kinds of activities! Evening activities: those staying overnight at the centre get to take part in our evening activity programme too! 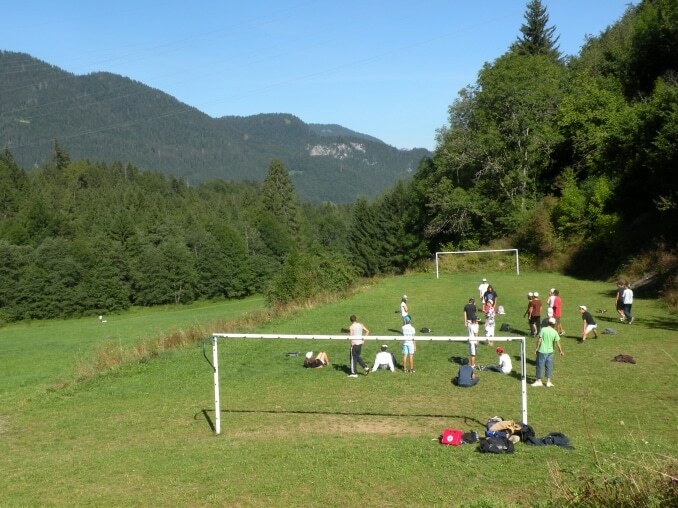 Lively sporting, cultural and social activities are an essential part of a language summer camp and our region offers a fantastic choice, so you will never be bored! Afternoon and weekend activities are run by our qualified activity coordinators. 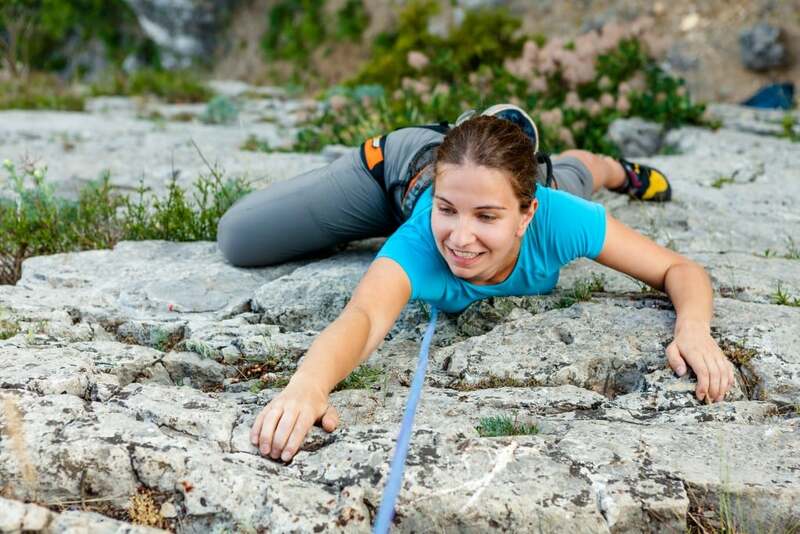 11-17 year olds on our French Day Camp or our French Residential Camp take part in our Adventure Activity programme which includes an amazing range of great activities – never a dull moment! 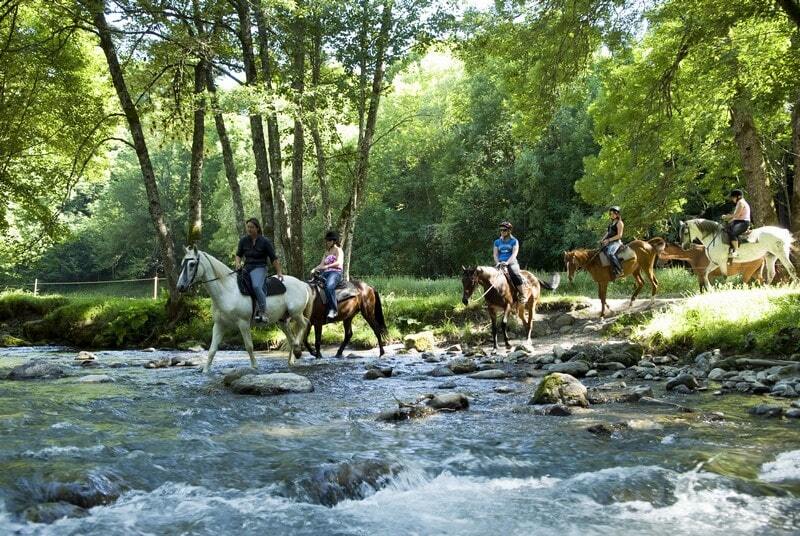 6-10 year olds on our French Day Camp programme take part in our Discovery and Creativity programme which allows them to sample a wide range of activities such as Summer sledging, horse-riding, archery, creative arts, zumba, yoga, hiking, tennis, handball, swimming, water games & much more! Sports activities at our Summer Camp Centre such as Olympic Games, Football, Basketball, Sports tournaments, Thèque (like the English game of rounders or the American game of baseball). 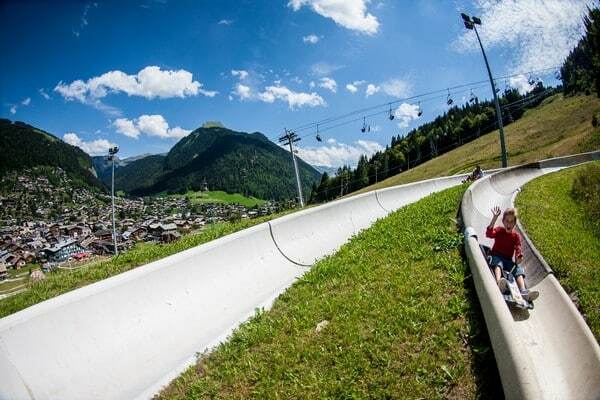 Sports activities in Morzine: Morzine has a tennis club, basketball courts, a new skatepark, a horse-riding centre, river trails, adventure parks….. There is so much choice of great activities that we often have trouble fitting them all into our Language Summer Camp activity programme! Watersports: Morzine boasts a great new aquatic centre which is perfect for a fun afternoon of sun, swimming and beach volleyball! 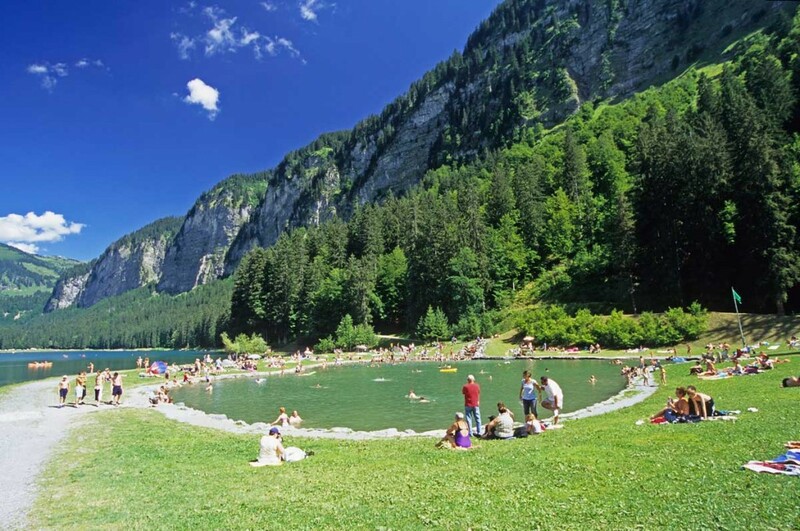 We also are lucky enough to have several mountain lakes in the area with turquoise clear waters and lakeside beaches. Campers can enjoy an afternoon in the sun, kayaking, swimming and picnicking! 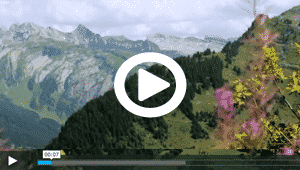 Local activities: Morzine often organises local activities, concerts and events. We take campers along to interesting and fun events. A popular one is a cheese-rolling race or an arts contest where you have to make a sculpture out of crates in the Tourist Office Square. 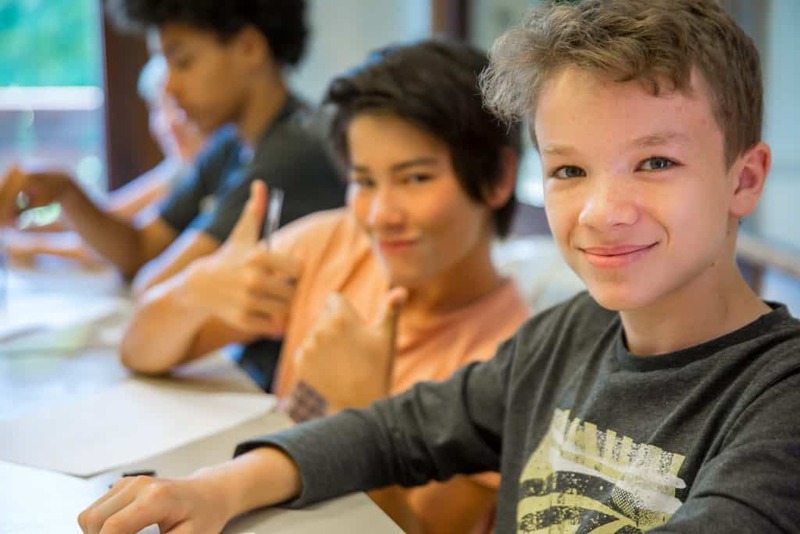 Evening activities on our Residential French Summer Programme: Casino nights, ice-hockey, teenage discos, Magic shows, Family Fortunes, Karaoke, Just Dance, Pictionary. Students help our activity leaders select the activities that they most want to do at the start of the week! 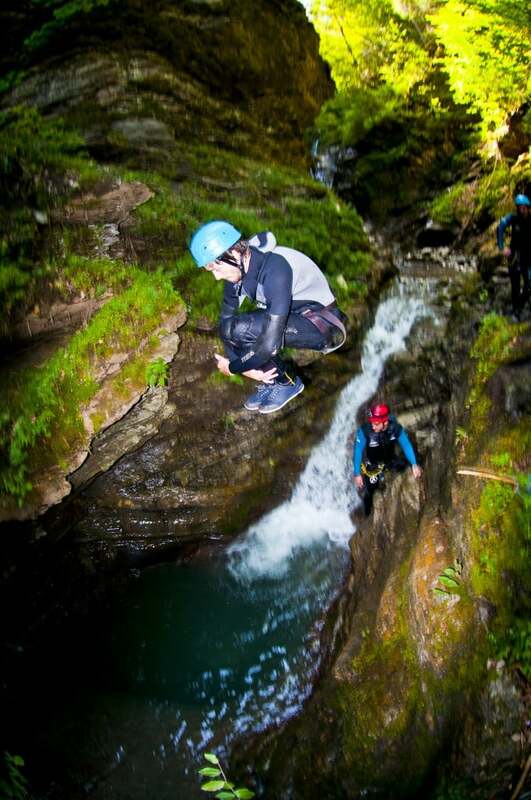 Option+ Adventure: Activities include White-Water Rafting, Mountain Laser, Climbing, Mountain Biking & Canyoning. Option + Discovery and Creativity: Activities include Zumba, Judo, Arc Tag, Yoga, Creative arts, Hiking and Nature Art.